What Goes into an ARCOR Epoxy? Chemical Plant Wastewater Center in the Northeastern U.S. Concrete Wastewater Aeration Basin 120’ L x 40’ W x 35’ H. Severe concrete loss and contamination. Large numbers of ‘worm holes’ required utilization of a fiberglass reconstruction system to minimize pinholes, reducing overall quantity of material used. 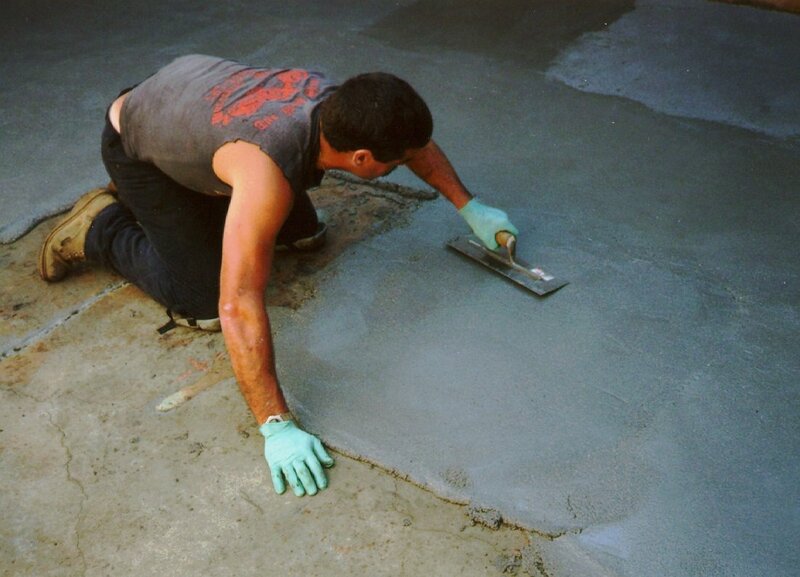 The entire surface was blasted with black beauty to remove failed concrete and contamination. Repair: Cracks and expansion joints were filled with EE-91. This was fully cured to form a break between the EE-91 and the fiberglass composite minimizing the possibility of stress cracks radiating thru to the surface of the coating. 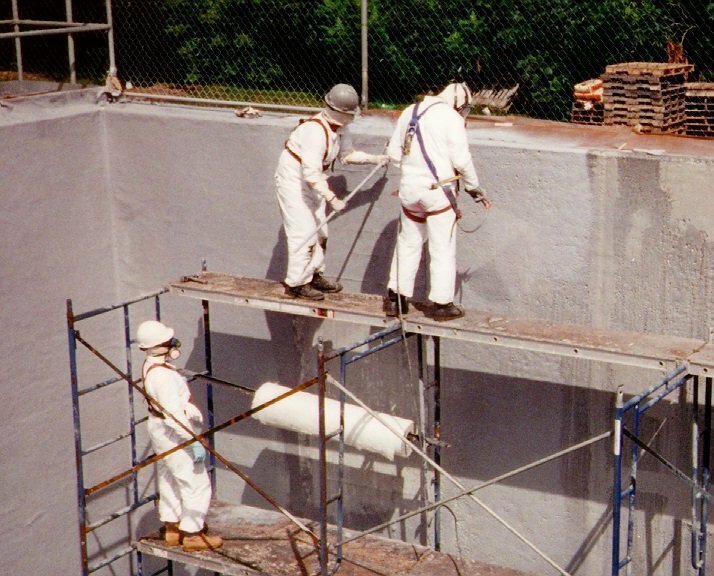 Prime: 20 mil spray application of EE-79 was used as a penetrating primer. 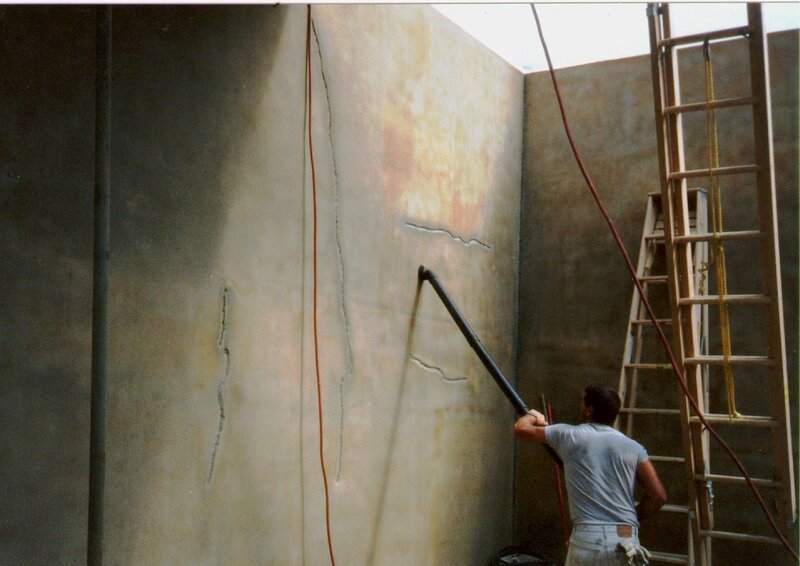 Intermediate: 40 mil application of EE-11 was spray applied as a ’hang coat’ for the fiberglass. Intermediate: 1.5 oz x 60” W, fiberglass cloth was laid into the EE-11 and was wet out by rolling , patting and smoothing, by hand. Final Coat: 40 mil cover coat was then spray applied to fully wet the fiberglass followed by a 40 mil finish coat to completely cover any protruding fiberglass strands. Total DFT 140 mils. Basin #4 completed in 31 Days (July-Aug, 1997). Unit remained in service until the Plant ceased operation in 2011.